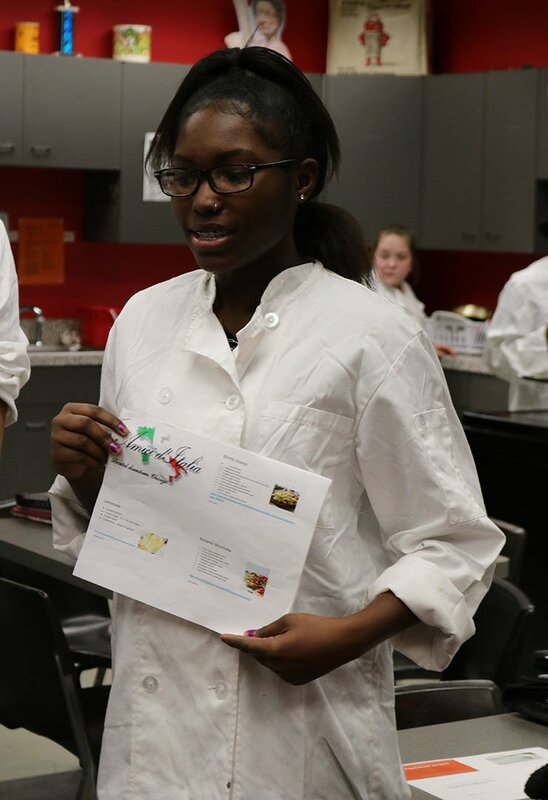 Deliah Harris presents her food truck proposal, demographics and menu to the judges. Griffen Deere, at left, and Darien Porter, right prepare their meatball sliders for presentation to the judges. In the end, it was the meatball slider sandwich, fitted on Hawaiian-style mini, or sliders buns, that garnered first place. But it also was the teamwork, strategies and specific details that made up the winning meal and food truck. Those are some of the goals for the annual Bettendorf High School Advanced Foods classes' Food Truck Challenge. It was the brainchild of Amanda Thibodeaux, family and consumer sciences instructor. Twelve teams of four students each recently competed. The teams were: Peck's Tacos, Mandarin Panda, The Mad Cheese Lab, Southern Delight, Waffley Good, D. E.G.S, S'mores Melt, Amici d' Italia, Rustez, BNO's, Cheesy Chruck, and Beach Bums. “I would like to say what a pleasure it has been to work with such creative, energetic and amazing students,” Thibodeaux said. “As a teacher for 11 years, I am never disappointed by the performance the students of Bettendorf High School. Each team had to come up with a team concept, name, multiple menu items, a marketing plan, cost analysis, and location as to where the food truck would set up shop, had there been actual trucks. Dealing with pressures and time constraints is part of the challenge she wants her students to experience. As for the winning team, D..E. G.S., many lessons were learned. He also was proud they created their own tomato sauce with the imaginary locale for the truck being at tailgate events at the University of Iowa football games. A team of four judges decided the winners. Deliah Harris, 16, a junior, said her team, Amici d' Italia, decided to make a soup called Zuppa Toccina. That was made with potatoes, kale and Italian sausages. 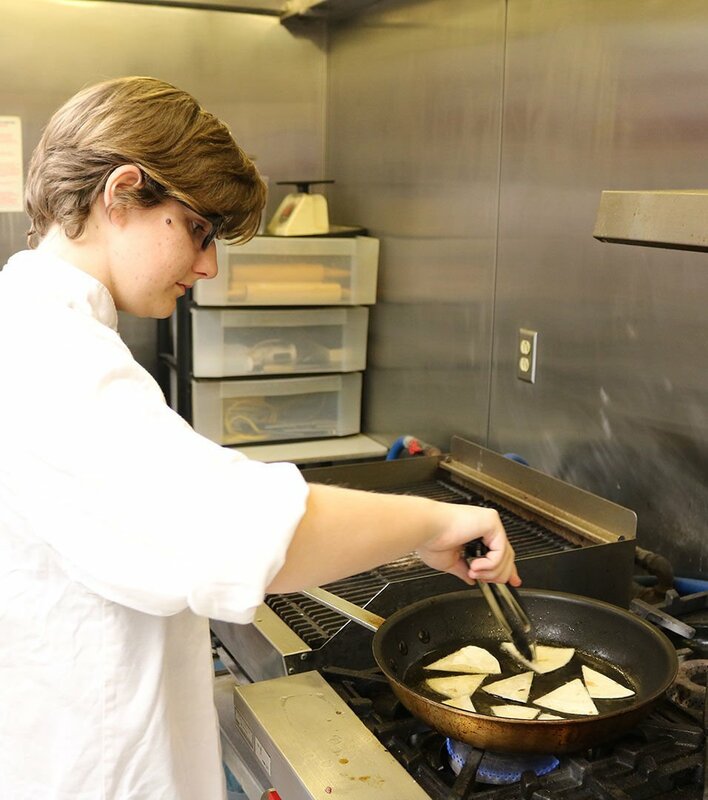 Thibodeaux said some of her students will go on to pursue careers at culinary chefs, which has been the case previously. Even though neither Ciha, Harris nor Clarke plan to make it their career paths, they will take what they learned in their future jobs.